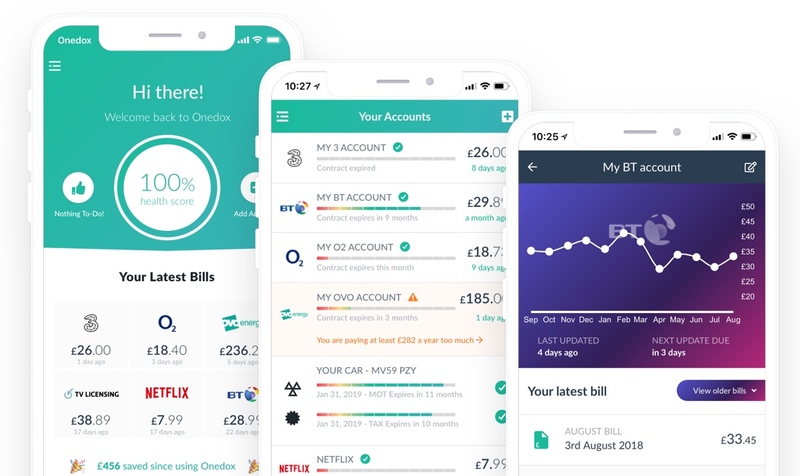 By automatically connecting to your service providers' online accounts, Onedox gives you a clear overview of your household bills and services all in one place, enabling you to stay informed and easily switch when a better deal comes available. Simply and securely enter the credentials you use to access each of your online provider accounts. Any statements and important information relating to those accounts will automatically appear and be stored for easy access from wherever you login to Onedox. Stay informed with emails about recent account activity, such as statements and bills from your providers. Onedox saves you having to fill in long price comparison forms and proactively alerts you when you could be getting a better deal elsewhere. Easily switch tariffs or providers right within the Onedox app.